Red Dead Redemption 2 rides off into the 2018 sunset. In news that shouldn't actually shock anyone, Rockstar Games announced today that Red Dead Redemption 2 will be delayed until Spring 2018. Red Dead Redemption 2 is looking quite nice. In a statement posted on Rockstar Games' official website, the company revealed that they will need more time to polish the game for the current generation of consoles. "We are very sorry for any disappointment this delay causes, but we are firm believers in delivering a game only when it is ready. We are really excited to bring you more details about the game this summer. In the meantime, please enjoy this selection of new screenshots from the world of Red Dead Redemption 2." 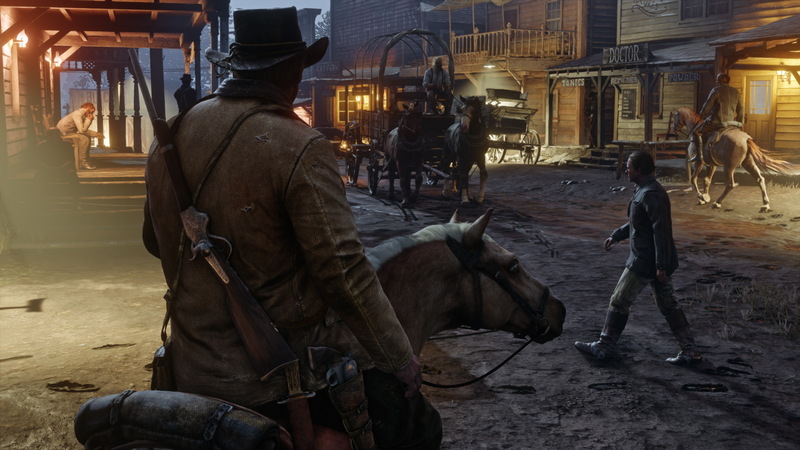 Indeed, the company also put up several new screenshots of the game showcasing the many things we've come to expect from Red Dead Redemption 2: guns, horses, and the wild, wild west. You can see these screenshots in the blog post annoucing the delay. Red Dead Redemption 2 was announced late last year, with early speculation being that Rockstar was working on a prequel featuring Dutch's gang. With Rockstar being mostly radio silent since then, speculation has naturally been rampant, with one "leak" turning out to be a Wild West MMO. The subsequent delay is disappointing, but very much in line with Rockstar's general process, which has seen pretty much all of their games get delayed at one point or another. Please adjust your calendars accordingly and remove Red Dead Redemption 2 out of your 2017 gaming schedule and into 2018. In the meantime, here's everything we know so far.